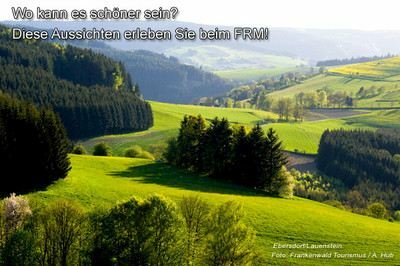 proDAD supports the Franconian Forest Bike Marathon - being there is everything! On the 1st and 2nd of August, all bicycle enthusiast marathon riders will meet in Stockheim and start a tour through the Franconian Forest and Thuringian Forest. Overcoming many metres in altitude as well as team spirit are required for the route. The stretch ranges from 50km for the entry-level tour up to 210km for the marathon route. Using proDAD, every bike marathon team becomes complete and unbeatable: Exclusively for the Franconian Forest Bike Marathon - proDAD will provide a total of 2,500 Mercalli Easy software packages for all participants. The action cam videos recorded on the road can be professionally stabilised with Mercalli Easy so that friends and acquaintances of the participants can get an even better impression and even better videos of the tour. After registering for the marathon, you will receive a confirmation email with a link that will lead you to the download. In addition, there is a discount code for participants only that allows you to get 20% off on all professional full versions of proDAD software. The Franconian Forest Bike Marathon not only provides a challenge on two wheels, but also equally the option to professionally present, exhibit and publish this challenge with proDAD's Mercalli Easy. As everybody knows, being there is the key for this bike marathon: In addition to the participants, we at proDAD are also proud to support this great event. So that you have a lot of fun after the tour with your clips and action cam videos: Mercalli Easy stabilises your videos in simple steps, thus making them more professional and steady. As a light version of the top product Mercalli V4 SAL+, Mercalli Easy offers everything action cam athletes need to post-edit their videos. proDAD wishes all Franconian marathon participants good luck and a lot of pedalling power!